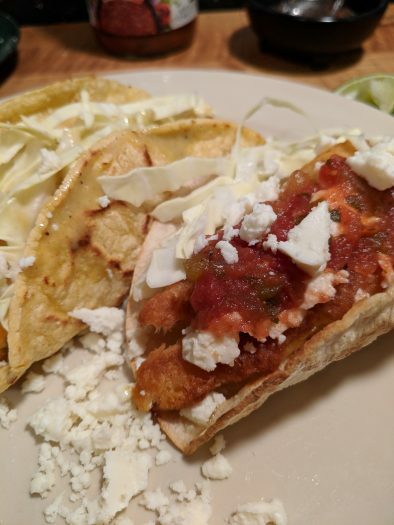 There was a time when I never had a fish taco, nor did I even want to try one. After all, aren’t tacos supposed to be beef? But at some point last year, my boss showed up with a few fish tacos from a local carry-out… and man was I hooked! (No pun intended). Crispy fish, creamy sauce, crunchy cabbage, and some spice all in a handy tortilla! Wow, what an eye-opener! At this point I feel I should say that here in Maryland, near the beach, we are just a bit far away from the California beach towns that are the home base for fish tacos, fish taco trucks, and other fish taco establishments. So I hope you’ll forgive me for being late to the party. 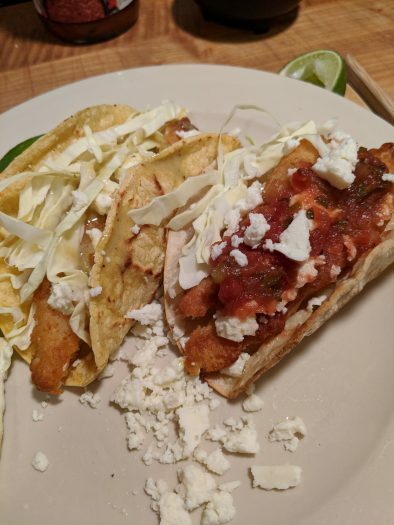 So here now is a super easy recipe for fish tacos. It’s drop-dead simple. 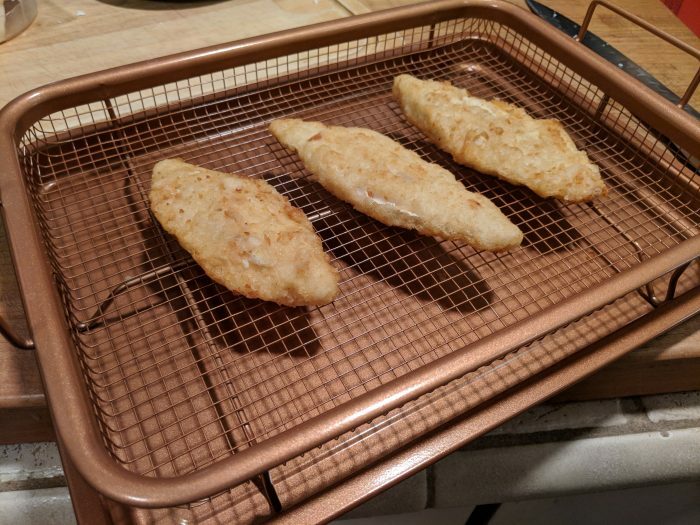 Start with your favorite frozen fish filet product. 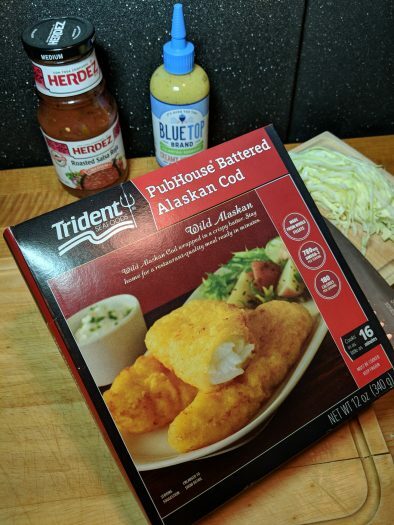 (We recently discovered Trident Brand Alaskan Cod Fillets from Food Lion) Go buy some now. Delicious! Or if you’re feeling adventurous and you have the time,you can always reel prized catch in yourself. Check out these Snake River fishing guides for some tips. 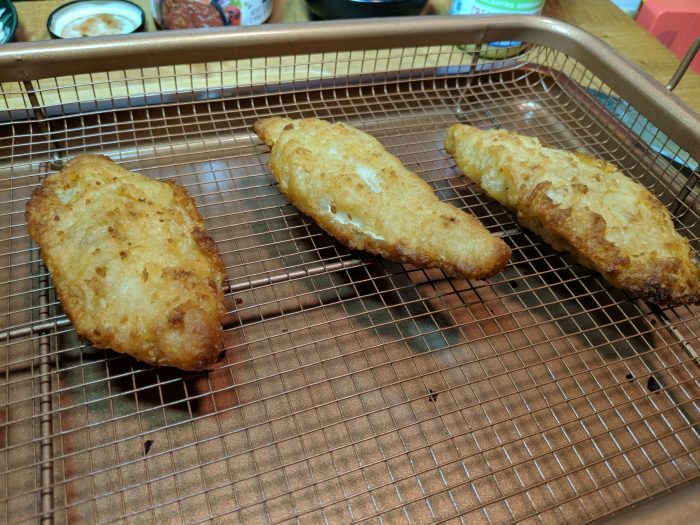 Bake the fish. 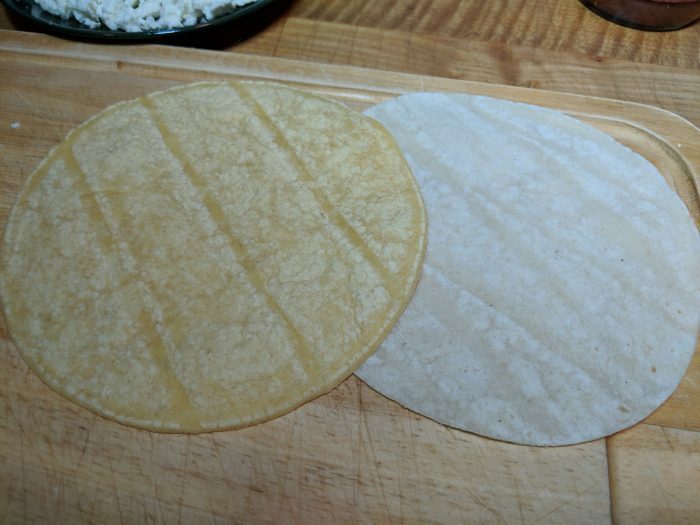 Cut the fillet in half length-wise to fit the tortilla. 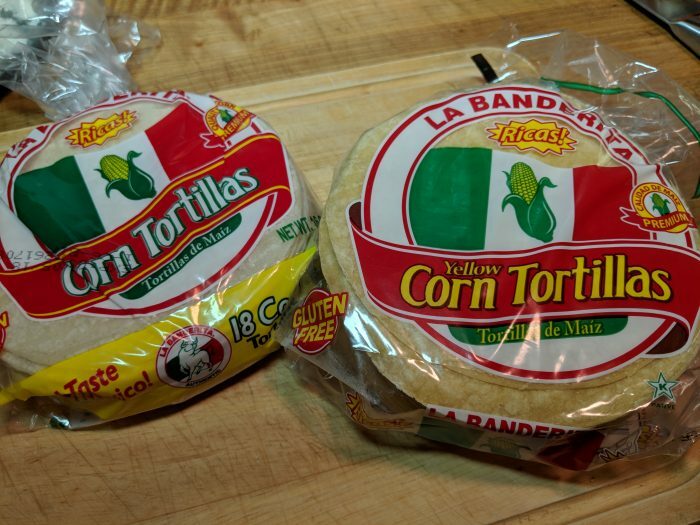 Heat up some soft tortillas… we used corn, but flour tortillas are awesome too. 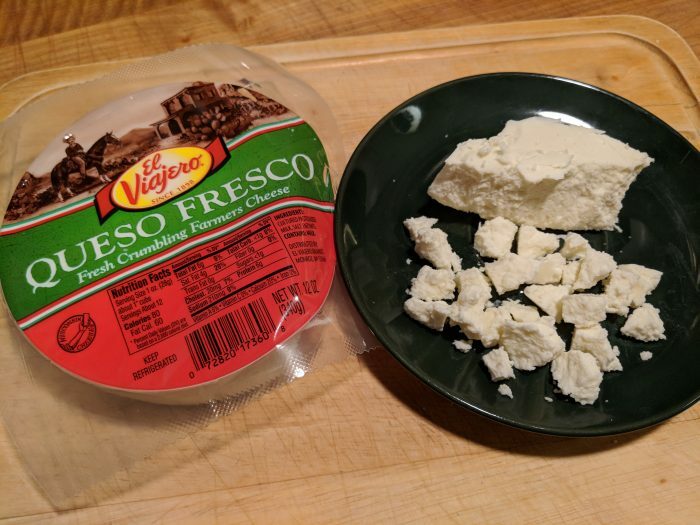 Add some crumbled cheese – queso seco or any favorite cheese (pepper jack, mild cheddar, queso blanco). Finely shred some cabbage if you want to be authentic (or any lettuce greens). Top with any spicy concoction of your choice – salsa, pico de gallo, creamy spicy mayonnaise. Finish with fresh lime juice and/or avocado slices. 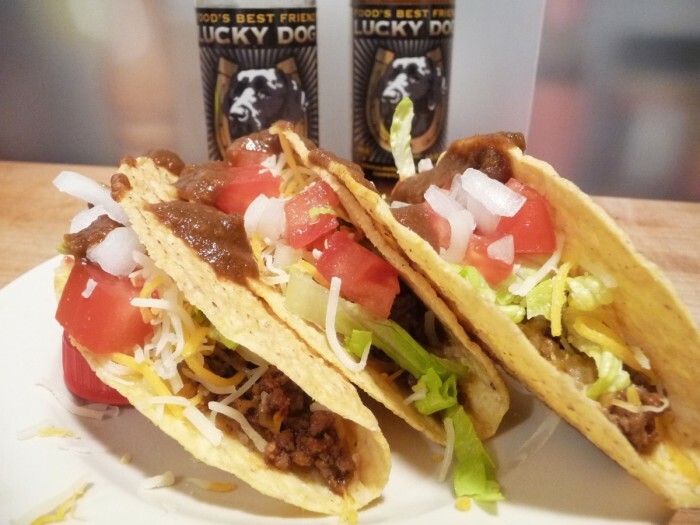 I hope you enjoy your new-found taco fix! If you were like me, and never had one, please let me know in the comments below. I’d love to know who else is “late to the fish taco party”! 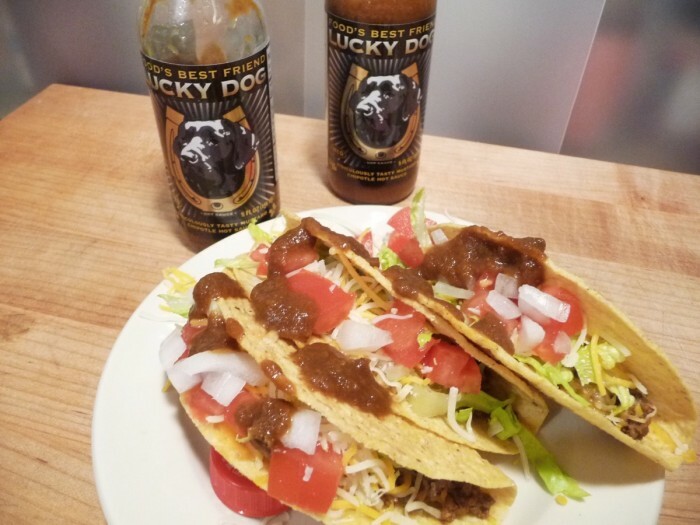 Lucky Dog Brown Label just might be their most approachable sauce yet – especially for the general hot sauce loving public. With a line-up that includes mild, hot and super-hot blends, the Brown Label is their newest release. 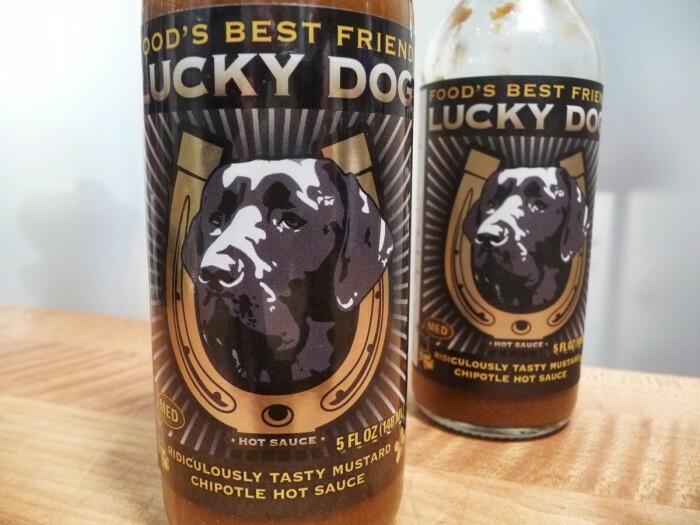 Lucky Dog Hot Sauce’s newest offering called Brown Label also has the amusingly long name of “Ridiculously Tasty Mustard Chipotle Hot Sauce”. But Lucky Dog can be excused. In our opinion, you can name your sauce anything you want as long as you excel in flavor and taste. The flavor profile is complex, yet the end result is simple and tasty. Deliciously smoky but not overpowering with just a hint of sweetness to balance things out. Heat Level: – A medium-light chipotle / scotch bonnet chile blend with a little sting at the end that lingers. Pleasantly on the light side of medium heat. Overall Rating: – Our highest rating of five Stars! Fantastic flavor. Big and bold dark umami flavors. Rich and satisfying. 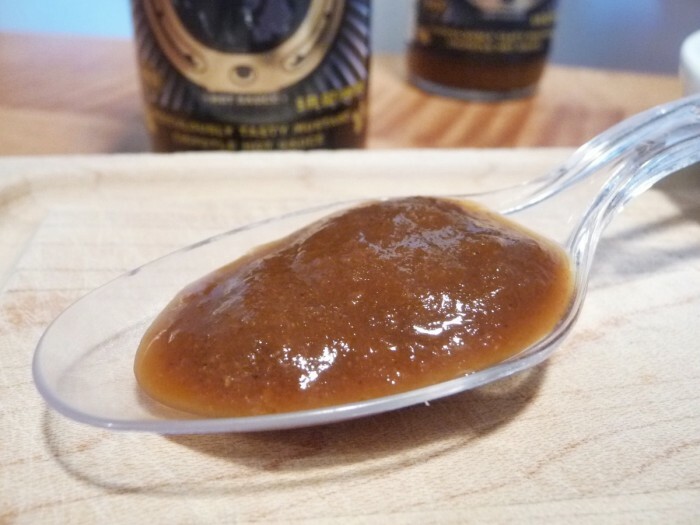 Ingredients: apple cider vinegar, pear juice from concentrate, onions, jalapeño peppers, water, roasted garlic, chipotle peppers, dried figs, sea salt, spices, scotch bonnet peppers, ghost pepper sea salt, granulated onion, lime juice concentrate. Dark and thick with a deep brown color. The consistency is nice, with a blend of small sized pulp. Great mouth feel and texture. 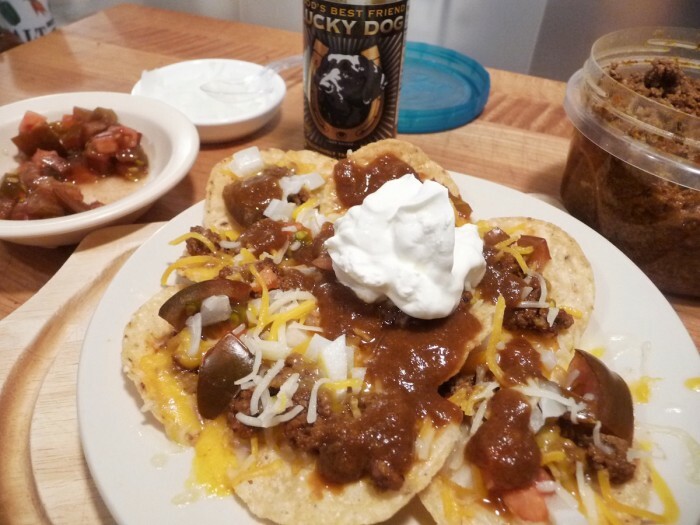 Superb as a taco sauce, this brown baby is also happy on nachos, burritos, and other Mexican style dishes. With the built-in awesomeness of it’s NoCal flavors and Tex-Mex umami, it’s a fit for everything South-of-the-Border. 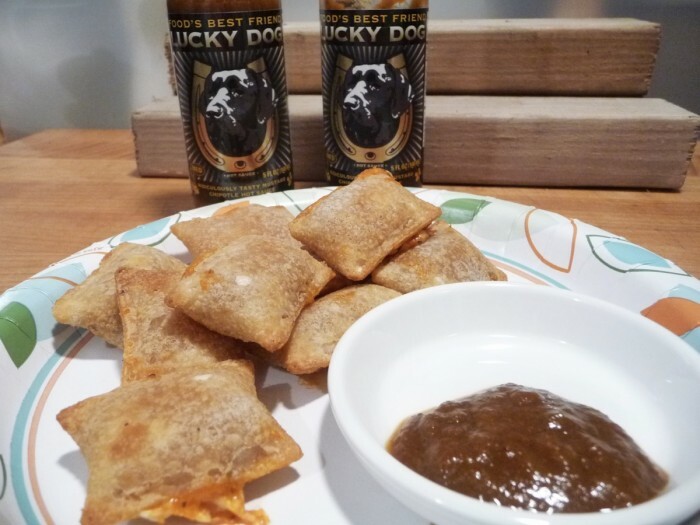 Pizza Rolls are a great snack and pair well dipping into Lucky Dog’s Brown Label “Ridiculously Tasty Mustard Chipotle Hot Sauce”. We really feel strong about this being a great taco sauce. And it’s just as good on our nachos. 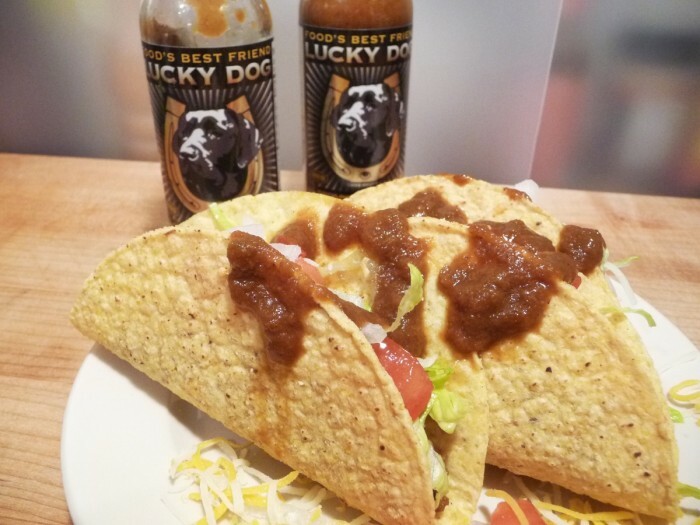 Overall: We think we’ve found our newest favorite taco sauce and we think you will love it too.